The TOPSoccer program gives differently abled athletes the opportunity to learn and play soccer with peers and volunteer buddies. The program is inclusive for kids five and up for any child or young adult regardless of disability. TOPSoccer adapts soccer to the ability of the athletes so each develop into enthusiastic soccer players and learn to love the game. If traditional soccer isn't a good fit, then this program is for you! Dates/Time: Thursdays in May 2, 9, 16, 23, 30 from 6:15-7:15. Location: Caswell North Soccer Complex in North Mankato. Registration: Cost is only $25! 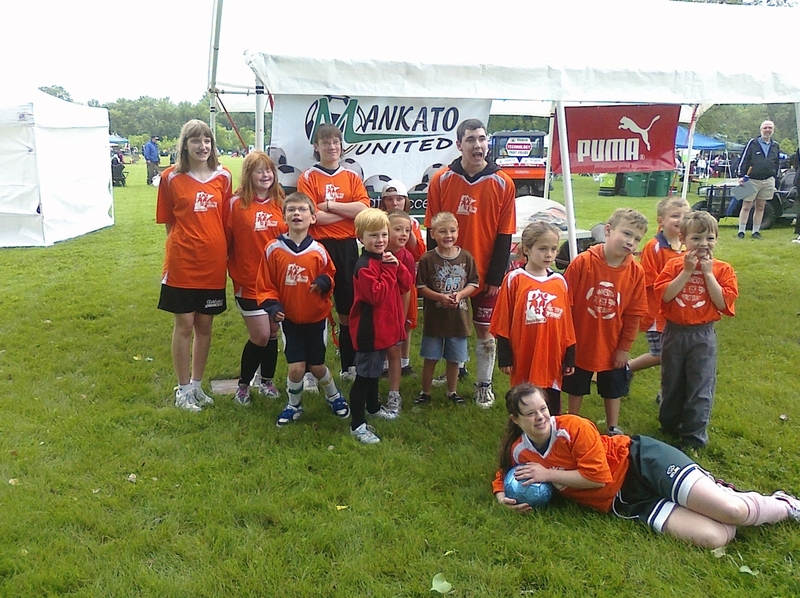 Free Equipment: Mankato United and MYSA provide athletes with jerseys, socks and shin guards. TOPSoccer is a community-based soccer program that is designed to meet the needs of children ages eight and older with physical and/or mental disabilities. The program is geared toward player development rather than to competition. Athletes are placed on teams according to ability NOT by age. ©2019 Mankato United Soccer Club / SportsEngine. All Rights Reserved.